The Authority members are appointed by the Government following selection processes run by the Public Appointments Service. The legislation which established the Authority provides for the Authority to have a total of nine members – a Chairperson and eight ordinary members. The composition of the Authority is in line with the statutory objective of there being at least 4 men and at least 4 women on the Authority. Work undertaken by voluntary groups with local communities, in particular work to promote safety in the community, prevent crime or promote awareness of other issues that are relevant to policing services. not eligible to be members of the Authority. The Authority is supported by the Executive which consists of a core team of staff headed up by Chief Executive Officer, Ms. Helen Hall. Josephine Feehily is a former career civil servant. She was Chairman of the Office of the Revenue Commissioners – the Irish Tax and Customs agency - from 2008 to 2015. She served in a range of roles in Revenue before being appointed as a Revenue Commissioner in 1998, the first woman to hold this position in Ireland. During her Revenue career, Josephine was Chair of the World Customs Organisation for three years, and Chair of the OECD Forum for Tax Administration – a forum of leaders of advanced Tax Authorities. She also served in a range of positions in the then Department of Social Welfare and the Pensions Board, was an independent member of the Labour Relations Commission from 2000 to 2006 and contributed to many civil service reform initiatives during her career. ​Josephine is a graduate of the National College of Ireland and Trinity College Dublin. In 2016 she was awarded an honorary doctorate by the University of Limerick. Bob Collins is a member of the board of the National Library of Ireland. He is a former Director-General of RTÉ, served as Chief Commissioner of the Equality Commission for Northern Ireland from 2005 to 2012 and was Chair of the Arts Council of Northern Ireland. 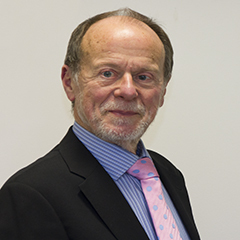 He was the first Chair of the Broadcasting Authority of Ireland and has also served on a number of other boards including the National Concert Hall and the Ulster Orchestra. 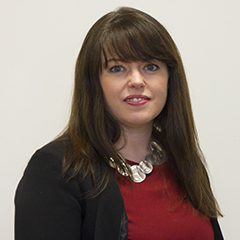 Dr Vicky Conway is an Associate Professor in Law, DCU and has previously worked at the University of Kent, Queen's University Belfast and the University of Limerick. She has published widely on policing, criminal justice and miscarriages of justice and is a leading expert on the Garda Síochána. Her third book, Policing Twentieth Century Ireland – A History of An Garda Síochána was published in 2013 and provides a socio-historical analysis of the service, with an emphasis on police culture and accountability. 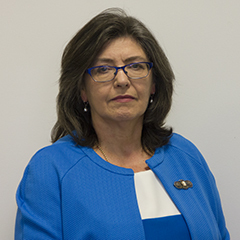 She served as a member of the Commission on the Future of Policing in Ireland and prior to that she was a member of the Policing Authority from 2016-2017. She has been an evaluator for the Council of Europe anti-corruption body GRECO. 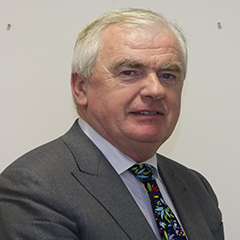 Pat Costello is a former CEO of Chartered Accountants Ireland and Accounting Technicians Ireland. He is a former Chairman of Chartered Accountants Worldwide which represents over 500,000 Chartered Accountants around the world. He is also a former CEO of the Irish Taxation Institute. Pat has a keen interest in policing matters having experienced its importance to democracies while serving with the United Nations as an Irish Army Officer in the Middle East and the former Yugoslavia. Judith Gillespie was a serving police officer for 32 years, leaving the Police Service of Northern Ireland as Deputy Chief Constable in 2014. In addition to running her own consultancy business, being a Visiting Professor at Ulster University, and her voluntary work in a number of areas, she is a member of the Equality Commission for Northern Ireland and the Probation Board for Northern Ireland. 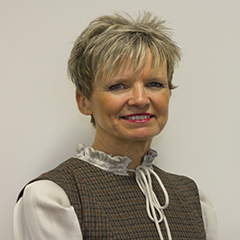 Valerie Judge is an independent management consultant, specialising in supporting senior executives to improve personal and organisational performance. She previously worked in a number of senior HR and general management roles in the health and telecommunications sectors and as CEO of a multifunctional shared services centre. Her qualifications include MBA, BSocSc, and Diplomas in ICT, Health Economics, Governance and Executive Coaching. 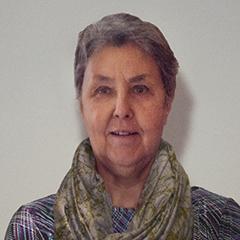 Valerie has been a member and chair of a number of state and charity boards. 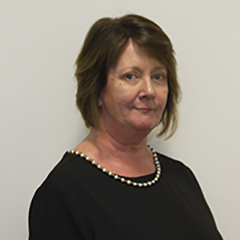 Maureen Lynott is widely experienced in management and leadership with particular expertise in board governance, strategic change and organisation performance. She has held varied roles as a board chairperson/non-executive director, senior executive and management consultant to Government departments, voluntary organisations and private companies. Her portfolio includes experience in the USA, Ireland, Europe and Asia. Her leadership appointments include: first external chairperson of the Top Level Appointments Committee; chairperson of the task force to establish a new Child and Family Agency and of the national Children First working group; senior advisor to the first CEO of the Health Service Executive; first CEO and non-executive chairperson of the National Treatment Purchase Fund; non-executive director of Beacon Hospital, the VHI, Housing Finance Agency and St James Hospital. She has served as chairperson of Rialto Policing Forum, Ballymun Regeneration and the Homeless Agency, and as a Board member of An Cosan and Focus Point. She is a member of the International Women’s Forum. Paul Mageean is a qualified solicitor from Belfast. He spent some time in private practice and also spent almost ten years working as the Legal Officer with the Committee on the Administration of Justice (CAJ), the leading human rights organisation in Northern Ireland. 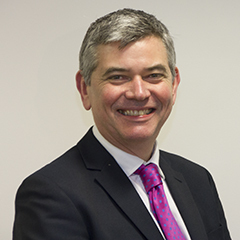 More recently, he worked for Criminal Justice Inspection Northern Ireland and was also the Director of the Institute of Professional Legal Studies at Queens University Belfast. He is a member of the Northern Ireland Human Rights Commission and serves as a Parole Commissioner in Northern Ireland and as a member of the Parole Board in the Republic of Ireland. He also chairs the Public Interest Litigation Support (PILS) Project which seeks to support strategic litigation in the human rights and equality field. Dr. Moling Ryan served as Chief Executive of the Legal Aid Board from 2004 to 2014. 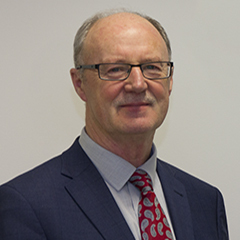 He previously served in a number of offices and Departments including Finance, Arts, Heritage and the Gaeltacht, Land Registry and the Courts Service. He was called to the Bar in 1979 and also has degrees from the National University of Ireland, Trinity College and Queens University, Belfast.